This dining set is welcoming and casual and will have you dining and entertaining in your outdoor space all season long. We paired our Raw Concrete Trestle Dining Table with two Reclaimed Teak Trestle Benches. These match the reclaimed teak of the trestle legs. Shown here is the 78″ Trestle Table with the 74″ Benches. This is a wonderful family style dining set that you will enjoy for years to come. 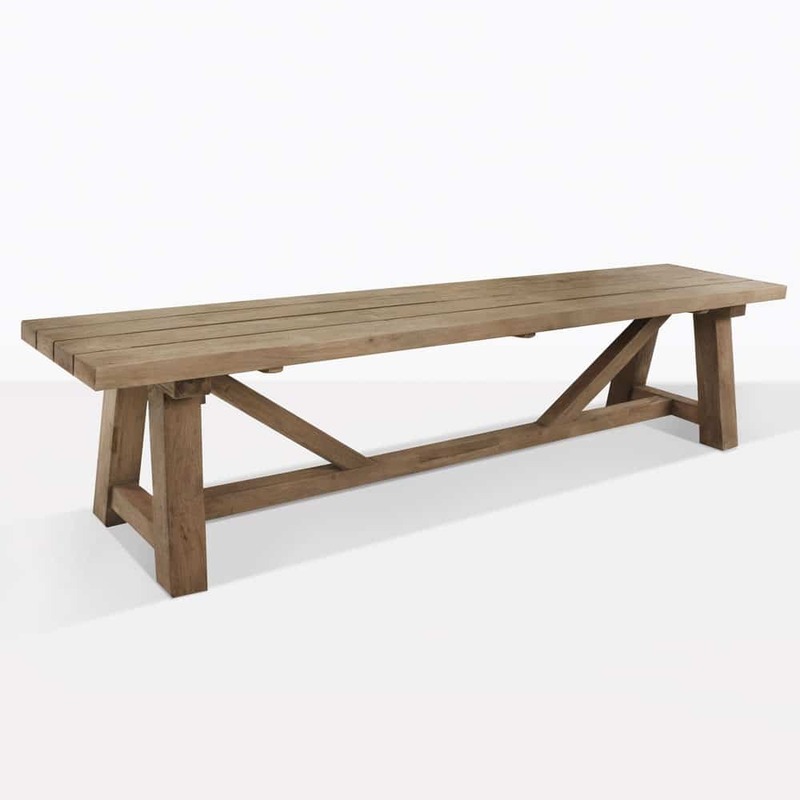 Our trestle tables and benches come in more sizes if you need more seats. 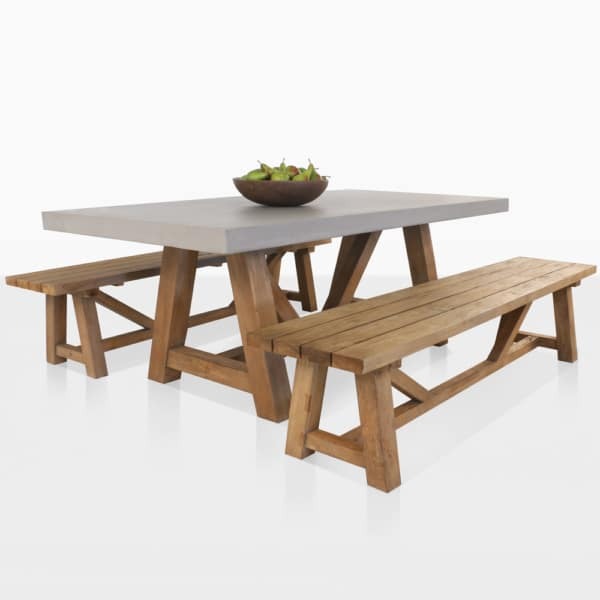 Call us today to order your new outdoor dining set.